BOLINGBROOK, IL: DKC Public Relations has been named AOR for consumer publicity for Ulta, a national beauty retail company. The agency was selected following a competitive RFP that involved three agencies, said Diane Briskin, managing director of DKC's lifestyle group. At the end of 2010, Ulta began an informal process, reviewing pitches from six agencies, which it recently narrowed down for a formal evaluation. With six people on the account, DKC will be in charge of all national outreach for the company, using social, as well as traditional media channels to engage consumers. “The goal is to continue to raise brand awareness for Ulta and position it as the ultimate one-stop shop for what a woman wants and needs,” Briskin explained. As of September, however, the agency will also focus on men's products, because Ulta is expanding its target demographic and launching men's shops for the first time. DKC's digital arm, DKC Connect, will work directly with the core PR team, Briskin added, helping to expand various communications efforts to digital and social spaces. Ulta's PR team also handles a lot of its social media work internally. In addition to increasing brand recognition and promoting Ulta's new men's line, DKC will spread the word about its new products and partnerships. Earlier this month, the firm rolled out an exclusive alliance with Laura Geller, a luxury beauty retailer. 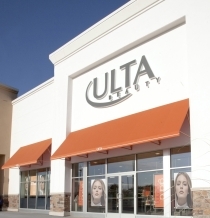 DKC will also support Ulta's 60 new store openings, both from national and local standpoints. “It's a fun account with a lot going on because there are so many different aspects and it's an interesting account to work with because it serves so many communities and neighbors across the country—it's not a city-centric brand,” Briskin said.